Have a theory about what’s going on in your niche of the market but need to make sure? Interested in developing a piece of educational collateral but want some pertinent facts and figures to include? Our Hospital and Health System Survey program provides one sponsoring company with high-level market intelligence on the industry’s hottest topics, along with some excellent branding. This program is designed to survey health system IT professional on industry trends, including their approach to common challenges. It is not for eliciting information about vendor/consultant product strategies or market perception. 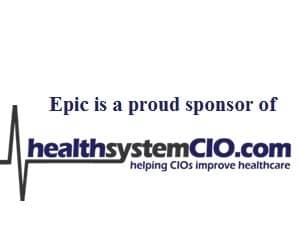 For those interested in such feedback, see the healthsystemCIO Focus Group program. Contact Nancy Wilcox, healthsystemCIO Director of Sales & Marketing (nwilcox@healthsystemcio.com 303-335-6009), to book your survey.